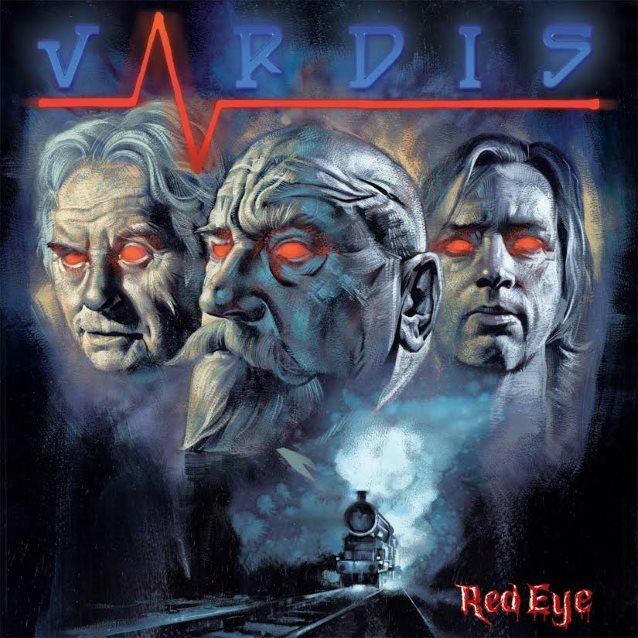 New Wave Of British Heavy Metal (NWOBHM) band VARDIS will release its new album, "Red Eye", on May 20 via SPV/Steamhammer. 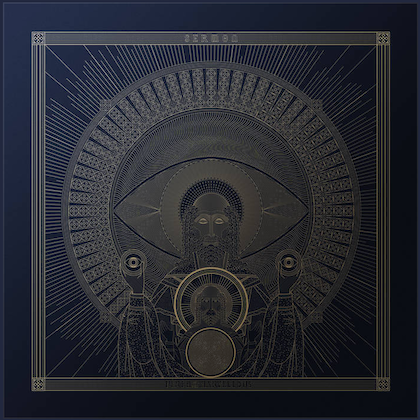 The effort will be made available as a digipak version (including two bonus tracks and poster), LP version in red vinyl and as a digital download (iTunes exclusive contains two bonus tracks). The cover art for the CD was painted by acclaimed artist Graham Humphreys, who has previously produced artwork for Hammer Studios and posters for "Nightmare On Elm Street", "Basket Case" and "Evil Dead" and "Evil Dead II". VARDIS was forged out of glam, punk, heavy metal, blues and rock 'n' roll in the crucible of 1970s northern England. They are a product of rock music across three generations: inspired by the great rockers and electric bluesmen of the '50s and '60s, learning their trade rubbing shoulders with the young guns of hard rock and punk in the '70s, and achieving prominence in the '80s as part of the New Wave Of British Heavy Metal. The hard, ferocious attack of their sound directly influenced the development of thrash and speed metal across North America and Europe, cited by metal giants such as METALLICA and MEGADETH. Never losing sight of the melodic, boogie sensibilities of their earliest influences, the VARDIS brand of hard rock retains a unique heavy groove, and has endured as truly original. In March 2014, VARDIS founder Steve Zodiac began remastering the "Vigilante" album, and to coincide with the re-release on Hoplite Records, VARDIS reunited to headline Brofest II in England, going on to perform at festivals in the U.K. and Germany before an emotional homecoming show at Unity Hall, Wakefield, where it all began. After the warm reception of fans at the reunion shows, Zodiac and bassist Terry Horbury not only felt at the top of their game, but that they had more gears to hit, and so decided to continue. 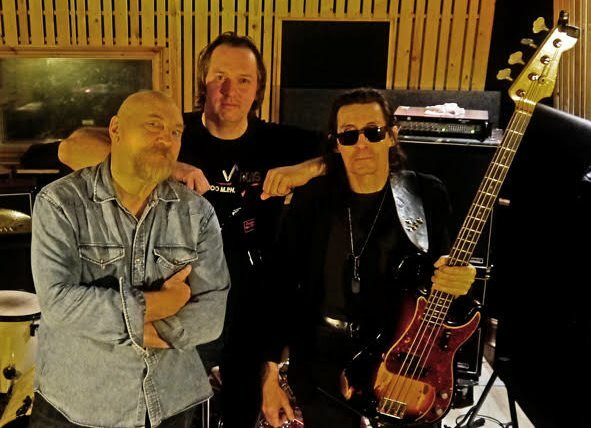 Recruiting the dynamic powerhouse drummer Joe Clancy, who had spent the previous ten years in IRON MAIDEN's Adrian Smith's side project blues band, VARDIS set to work on their first new material in nearly 30 years. Says Zodiac: "Reuniting after a 30-year hiatus was a leap in the dark, but the response has been tremendous. Terry, Joe and I have hit upon a creative chemistry that makes me as excited to be recording the fifth VARDIS album today as I was cutting our first demos in '76." After the tragic death of bass player Terry Horbury last year, the band recuited Martin Connolly (Rick Wakeman, Paul Fox) and played their first successful show with the new lineup at this year's Up The Hammers festival in Greece. Zodiac comments: "We are very lucky to be able to welcome Martin Connolly to the band. Despite knowing VARDIS would continue, after losing Terry so suddenly it took some time before we could consider playing with another bassist. By the time we were ready, the job required someone with the musicianship and experience not only to maintain the power of our live shows but to form a tight chemistry quickly. After just one rehearsal, we knew we wouldn't need to see anyone else, Martin is a top bassist and has brought a new dimension and fresh energy to VARDIS as we rebuild to get the show back on the road this year. Thank you all for your support and patience, we are proud to rock on with you in tribute to a man whose life was music."